Recently, I took one of those BuzzFeed-type quizzes to find out what type of sandwich I am. I usually work from home, so most days it’s just me, my dog and two cats. I spend a lot of time at the Facebook water cooler. Those quizzes can be hard to resist. Despite the fact that my friend Sam has warned me that the quizzes put my data out there for Facebook and God knows who else to mine, I feel more self-aware now that I know which city I am supposed to live in (LA), what stereotype I was in high school (the renegade— totally not true. I just had lunch with a guy I went to high school with and discovered that even the nerds were wilder than I was) and what my hippie name would be (Flower). When the results of my sandwich quiz came in, I was pleased with the outcome. I am a Pan Bagnat, that Nicoise specialty, which is basically a Salade Nicoise between two slices of really good bread. You wrap it and weigh it down with something heavy for several hours so that olive oil and juices from the sandwich ingredients soak into the bread. It’s heavenly. The first time I made a Pan Bagnat was during those early years of motherhood, when I would console myself over the lack of travel and lack of a job by making global concoctions. Early one morning I assembled the Pan Bagnat and set in the fridge to saturate until lunch time. Daughter #1 was at kindergarten. Daughter #2 was having an afternoon playdate. 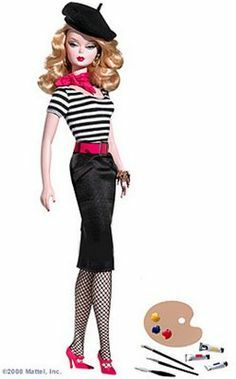 Once her friend came over, I planned to leave the girls to their Polly Pockets and pretend I was in the South of France. By the time my kids were 4, most of us parents were comfortable with the whole playdate thing, so we dispensed with the ritual of hanging around to make sure our kids were settled and high-tailed it away to enjoy a few kid-free hours. I was banking on D #2’s friend’s mother doing this and was anticipating enjoying my Pan Bagnat in peace before kid snack time. She came, dropped off her daughter and … stayed. I made the kind of small talk that is so boring you can’t wait to get away. I encouraged her to go enjoy herself. I told her the girls would be fine. When it became clear that she was in no rush to leave, I grappled with what to do, especially since this was a woman I barely knew. Offering her half of my Pan Bagnat seemed like it would require an explanation. What was this messy sandwich? Why was it so special? Why was I planning to eat it furtively? I offered her a drink and silently willed her to leave. I not-so-jokingly reminded her the two-hour playdate would soon be over. Eventually, she got the hint or maybe she just got bored. You can guess that I was no more than two bites into my Pan Bagnat when the girls came into the kitchen to tell me they were bored and hungry. Not long after that, the other girl’s mother returned, followed by D#1. Yes, I got to eat my sandwich, but I didn’t get to savor it. Pan Bagnat has held a mystique for me ever since. After I received my quiz results, I decided it had been far too long since I’d made a Pan Bagnat. My kids are older and gone for most of the day, so there was nothing to stand in my way. 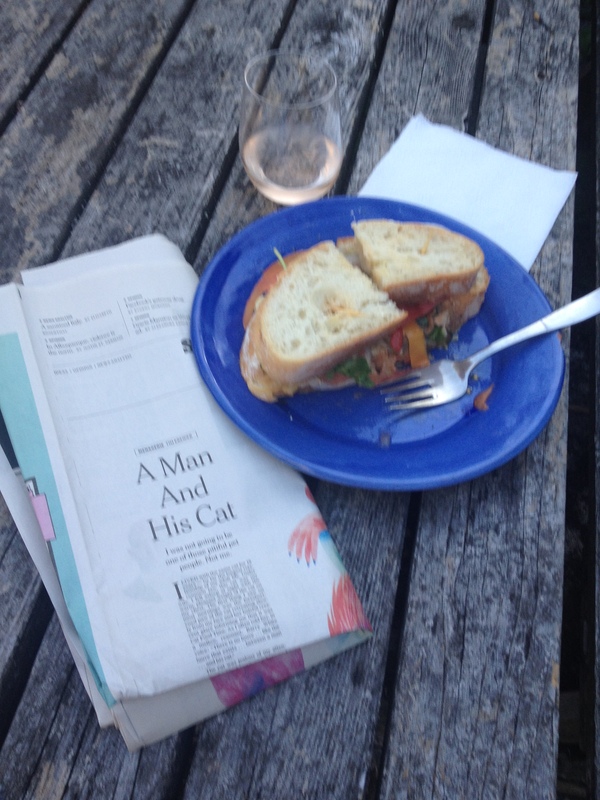 I made the Pan Bagnat and I savored it, while reading this great essay in the New York Times. A week or so later I made it again, taking the bold step of serving it for dinner on a hot summer night. 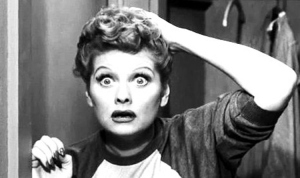 To my shock, everyone enjoyed it (shhh, don’t tell them they ate anchovies). So much of family life and life with other people involves delayed gratification. 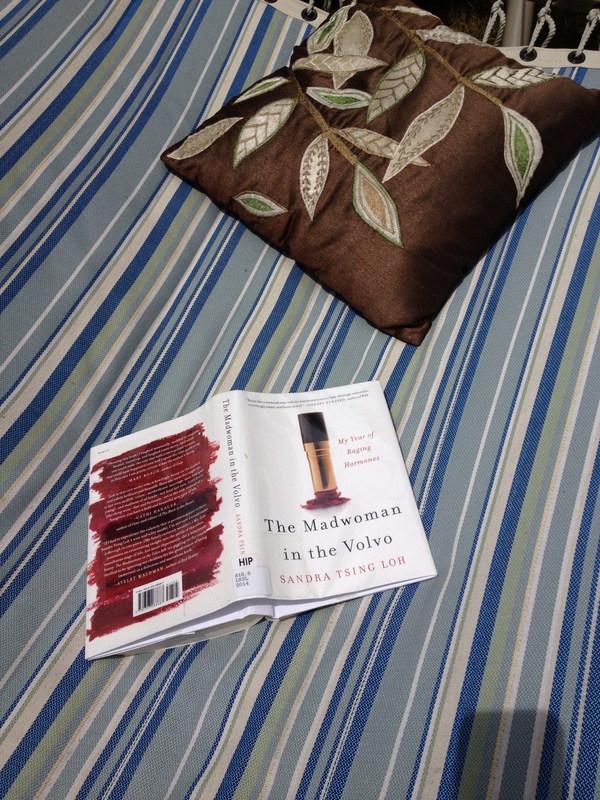 Picture the recent summer afternoon when I, who rarely sit still, settled on the hammock with Sandra Tsing Loh’s, The Madwoman in the Volvo: My Year of Raging Hormones. Enter my handsome husband, who announced that in ten minutes we were converging in the sweltering attic for a family cleaning session. “I hope you are doing something self-indulgent,” a co-worker said. Today was my turn to drive the morning carpool and then I had to give a presentation to the Parent Association at our school. Tonight is the 8th grade potluck. We are assigned dessert, so I am baking this terrific flip-over plum cake, which I told you about almost exactly two years ago. I sat outside in the sunshine, flanked by my sun-loving pets and I sliced Italian plums that I had been given from a friend’s tree. And while I baked the cake, I wrote this blog. I make my living as a writer and am lucky that I get to interview people, study issues in depth and share what I’ve learned with the world. This summer was a particularly busy and stressful one for me, fraught with deadlines and not a lot of down time. I’m proud of what I’ve written, particularly this story about kids and gender identify, but in the rush of reporting, this blog, which is a form of self-expression, has suffered. So has my cooking. So I am happy to report that my birthday was self-indulgent, in the best possible way. And if I hurry, I can get in a run or a bike ride before the kids come home from school. 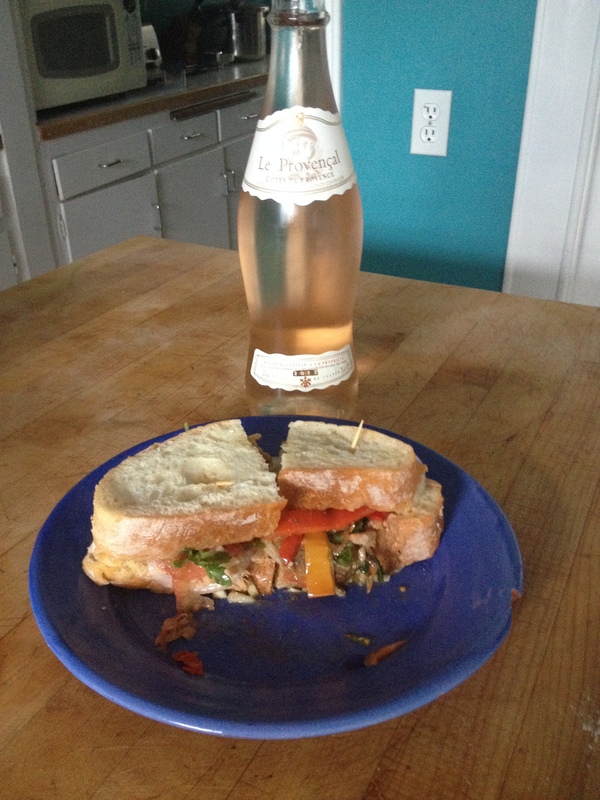 Here’s the recipe I use for Pan Bagnat, courtesy of French food maven, Patricia Wells. 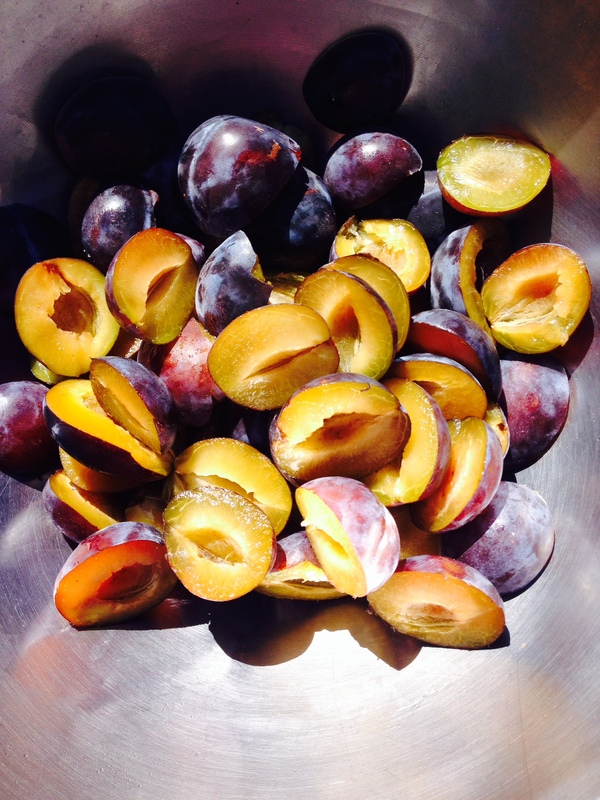 This entry was posted in Aging, Cooking, Family, Food, Work-Family balance, Writing and tagged Italian plums, midlife birthday, Nicoise food, Pan Bagnat, Patricia Wells by Slice of Mid-Life. Bookmark the permalink. The story about the woman who wouldn’t leave made me laugh! I have such a friend, who dropped off her son late, stayed when I was hoping to get lots done, then stayed for dinner even though I only had leftovers! ( no pain bagnat.) another time I was just getting my Thanksgiving turkey out when a (different) friend stopped by bearing a bottle of scotch for a drink with us. The turkey sat so long it dried out, and it kept looking at it nervously while he and my husband yakked for a good hour. I hate it when caught between food and company! Scotch and turkey? Dangerous combination!